In the latest version of my game (version 1.1) I have added the separate levels for the first 'Hedge 10x10' stage. 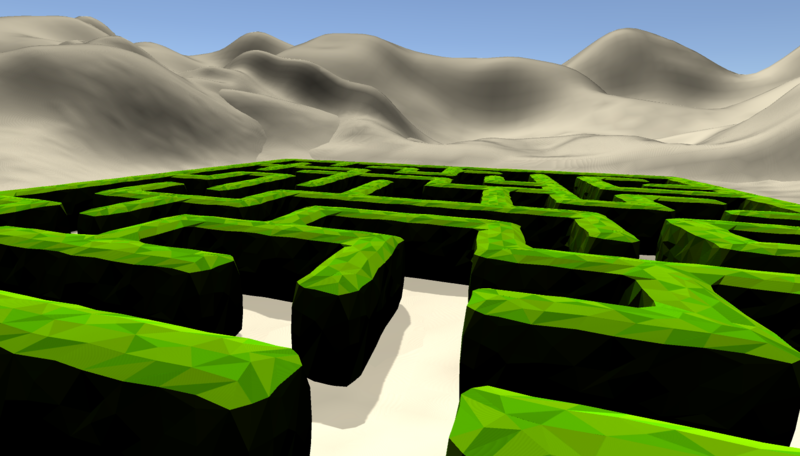 This has given the players the ability to play different mazes in the first stage so they can work their way through. I have also altered the time that you need to beat to make it unique for each of the levels and tailored to the individual levels in the game. As well as these features I have arranged the stars so that only one of them is in the route towards the exit of the maze meaning that the players are forced to explorer more in order to get the other stars to unlock the next level. Also in this update I have included two of the other stages I have been working on. Currently this just includes the same placeholders as each other meaning that the 'Hedge 15x15' stage is only the same as 'Hedge 10x10' was in the first release. However in the 'Hedge Dark' stage I have included the darkness as well as the light mechanics needed in order to make the gameplay differ as it will in the final version of this stage.